Ice stretches to the horizon in this photograph taken by Scripps Oceanography geochemistry student May-Linn Paulsen this summer. 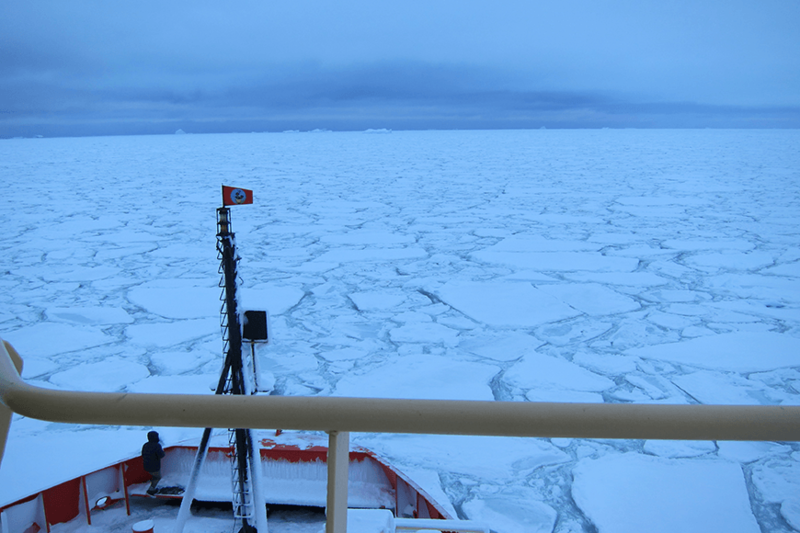 "This picture was captured from the bridge of the ice breaker RV/IB Nathaniel B. Palmer in the Amundsen Sea as a part of the repeat hydrography program GO-SHIP," Paulsen wrote. "Repeat hydrography research cruises are essential to study spatial and temporal changes in physical, chemical, and biological parameters throughout the oceans. On this 67-day long cruise I measured some 4000 samples for pH, an important parameter that helps us understand the CO2 biogeochemistry in the marine environment."